Lionetti's was founded 1968 by Vincent Lionetti. His father painstakingly taught him the fine art of sharpening and he became a gifted technician and founded Lionetti's Hair Clipper Service in Phoenix, Az. Lionetti's is a remained a family owned business that expands three generations. In 2017 The Lionetti's family passed the reigns to another family owned business Get Sassy Beauty Supply. Get Sassy Beauty Supply is commited to carrying on the legacy of excellent workmanship and old school work ethics that Lionetti's has been known for over the past 50 years. Lionetti's will continue to be the industry's leading Barber Supply Store in Arizona, offering an array of classic & most requested products. Q: What is the normal shipping time frame? Q: If I’m a owner how I can purchase wholesale pricing? 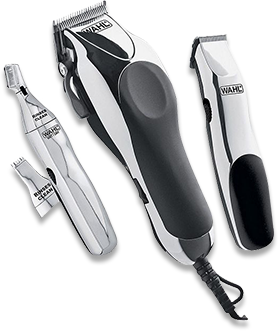 Q: Can I mail clippers in for servicing? Q: How do I reach out to you to interest you in carrying my products?